Administration City of Affi in province of Verona and Argo also with Mr. Kilowattora, antoher time together for the third educational project for primary school. Made during the month of April, the new thirs formative project "Re Creation with Mr Kilowattora:the primary school to discovery of the recycling of waste", required by the Administration City of Affi to Argo and the defender of the environment and energy, Mr. Kwh. 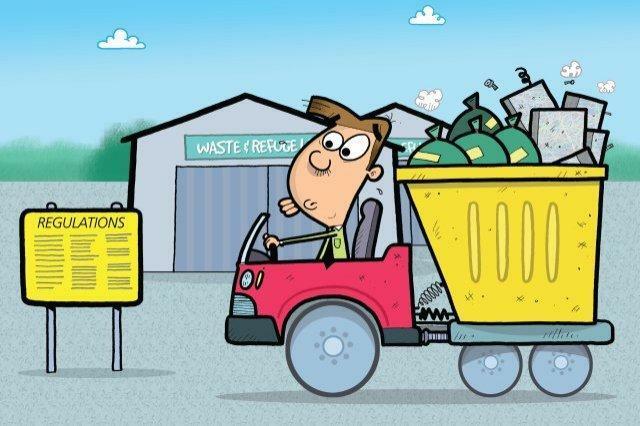 It'a an educational route which object is to give continuity to the other formative activities made during 2010 and 2011: specifically, for this third project, the goal is to show some of good practices about waste collection and waste management that allow to reach the best results talking about recovery and recycling of materials collected. The project was born from the meeting between the sensitive istitutional reality, the Administration City of Affi, and Argo, the society which for about 20 years provides services and advanced consulting in 3 sectors: energies, environment and communications. 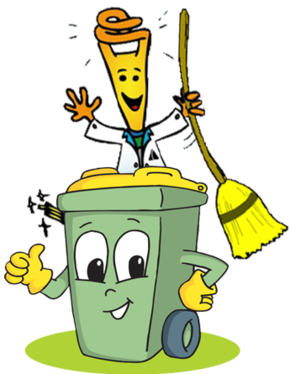 - learn behaviours aimed at the reduction of waste production, favoring the development in the children of basis of critical consciousness and the awareness that tey, like all other people, personally must take part to the best management of waste materials. 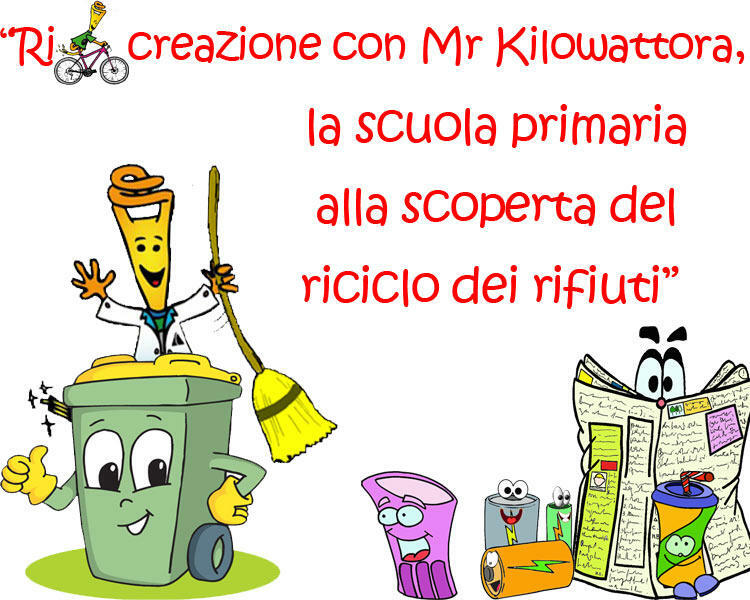 Will present several examples of objects and materials resulting from recycling: children will also be stimulated and invited to draw pictures, images or write though on the project and they will receive some gadgets built with recycled materials. The informative and educational interventions show as protagonist Mr. Kilowattora who during the other 2 projects led children in the world of energy and in the world of the life of trees, men and animals. The introduction and the study of social, energetics and environmental aspects of recyling will be faced with the support of simple languages,with encounter of frontal type supported by audiovisual aids, finalized to transmitt the basis knowledges and understand the basics of environmental, with specific reference to presentation of principal materials for recycling waste (glass, paper, plastic, alluminium and cells and batteries), to the route of recycling and/or regeneration of waste and their interaction with man, in the forms in which there are multiple forms of processing and use. The sam objective to promote themes concerning the energy efficiency and the respect of nature has led the Administration City of Affi and Argo to an important investment in each other, finalized to transfer to the children the primary concepts connected to the reduction of consumption and the recycling waste. For the sake of our planet and future generations, we rely on the contribution that children could gice, now like simple users of energy, but tomorrow like workers, technicians, managers and businessmen. “We work well today for a peacefull tomorrow”. 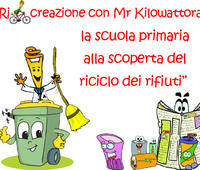 So, the date is in your school, Mr Kilowattora waits a call to bring you in the magical world of recycling waste! What are the environmental benefits of using biodiesel? Electric cars are really green?